Georg SAGMEISTER, the General Manager of the ibis Vienna Airport hotel, wishes you a warm welcome. The ibis Vienna Airport hotel proves that successful interior design can encourage communication: Welcoming furniture, stimulating colors and sophisticated rooms create a relaxed atmosphere in which guests can easily start up conversations with each other and interact with the team. We will organize transfers from and to the airport on request. We wish you a pleasant stay. Arrive, relax and enjoy a wonderful night's sleep. 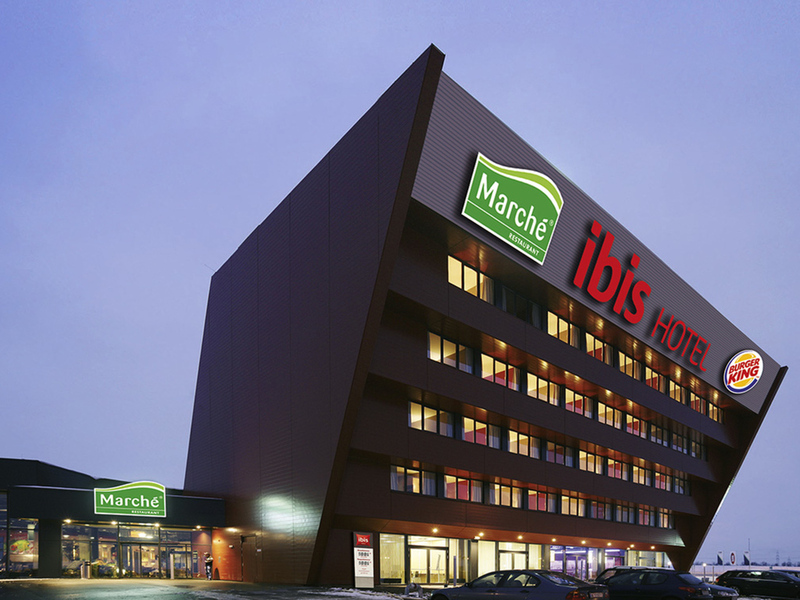 All 76 rooms at our Hotel ibis Vienna Airport are newly renovated, air-conditioned and soundproofed. The innovative Sweet Beds from ibis beds have been designed to give you a restful night's sleep. Be surprised at the Marché restaurant that is open from 6am to 10pm offering a wide choice of fresh delicacies. Watch your meal be prepared using the best ingredients from the region. Enjoy! The bar of the Marché restaurant is open until midnight every day. Any time you fancy relaxing with a drink, a good wine, a specialty coffee or a snack, we look forward to seeing you!